A new study from the Pew Research Center has pegged Android at a spot in the tablet market that we didn’t think would come this early in the game. In the year of 2012, Android holds a whopping 48% of all U.S. tablet sales, bringing Apple’s iPad into reach at just 52%. 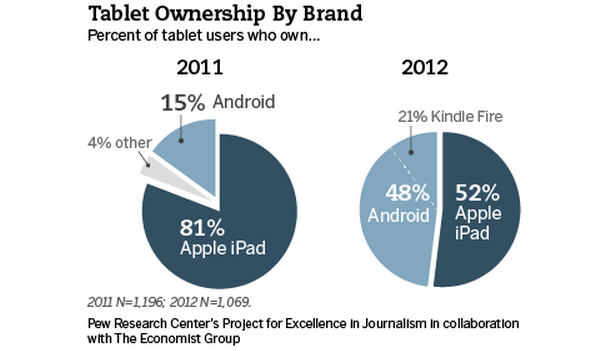 Although, Amazon’s Kindle Fire accounts for a hefty 21% of Android’s tablet market success. And do keep in mind, these numbers do not reflect Nexus 7 or Kindle Fire HD sales yet. The study also shows the world sales data, which differs quite a bit. According to the report, Apple still holds a commanding 61% of the world’s tablet market with Android coming in at a much lower 31%. 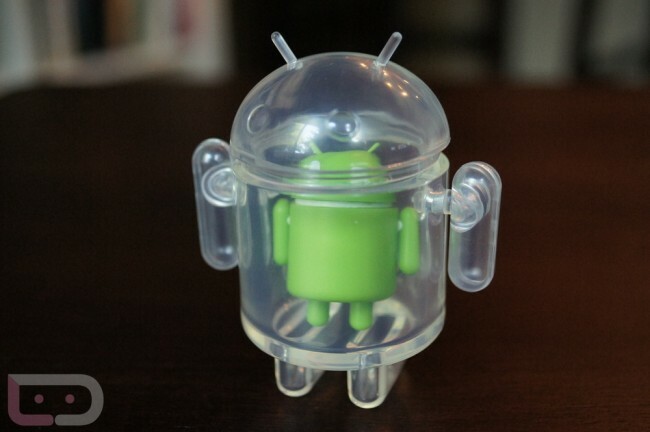 But hey, things are looking up for Google’s Android. Once numbers are published reflecting the seemingly popular Nexus 7 and Kindle Fire HD tabs, these numbers are sure to change a wee bit.